Controversial First Lady Grace Mugabe is at again, admitting openly yesterday that many Zimbabweans thought that she was mentally unstable because of her erratic behaviour. At the same time, she once again put down President Robert Mugabe’s warring deputies Emmerson Mnangagwa and Phelekezela Mphoko. Speaking in Binga where she launched an irrigation scheme in the presence of fawning Cabinet ministers and other Zanu PF bigwigs that included Transport minister Obert Mpofu, Water minister Oppah Muchinguri-Kashiri, Labour minister Prisca Mupfumira and Speaker of Parliament Jacob Mudenda, Grace also lamented the ruling party’s continuing factional and succession wars. Not surprisingly, the speech was carried live by ZBC, even as the cash-strapped State broadcaster is retrenching about 400 staff all in all to stay afloat — notwithstanding that live broadcasts are expensive and the fact that the increasingly influential Grace holds no formal executive position in government. “Factionalism yakuda kudzoka but tinoti pasi nayo (factionalism is back in Zanu PF and we say to hell with it). Do not lie to us about what you are capable of. We know you all and what you are capable of. Just ask yourself why God continues giving a 91-year-old (Mugabe) the strength to lead the country. Where have you seen a 91-year-old who can stand for 2 hours?” she said. She went on to savage ruling party bigwigs who were angling to succeed her husband, warning that the nonagenarian’s embattled deputies, who often acted in his place when he was away, were not guaranteed to succeed him. “Acting as president … does not mean one is an heir apparent. This is what destroyed Mai Mujuru. Do not be caught offside. Tamba nevamwe zvakanaka (interact well with each other),” she thundered. Speaking about herself, she said many people believed that she was a mental case because of her actions, but she said pointedly that all her warnings had come to pass. “Kana zvanetsa, ndipeyi pembe, ndinoiridza ini. Kana zvaipa hunza pembe. Ndine Energy ini and ndirikushanda nemadzimai akasimba (When the tough gets going I’m the go-to person. I’ve energy and I’m working with powerful women),” she said, adding that, “People think I am playing but I am not”. 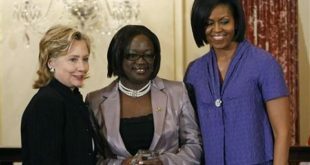 Gloating over the frontline role that she played in ousting former Vice President Joice Mujuru from power, Mugabe’s quarrelsome wife said many people had also misjudged her when she had mauled Mujuru. “People were laughing saying Mugabe’s wife has been given a whistle. The whistle has been given to a mad person. But in football, you know, there is a referee who blows the whistle when things go wrong, when you are offside or when you have made a foul. “But (eventually) people saw that I was right and the decision I had made was right and they gave her a red card. When it goes wrong in your camp, come with a whistle I will blow it. I blew it and Mujuru was given the red card,” she boasted. 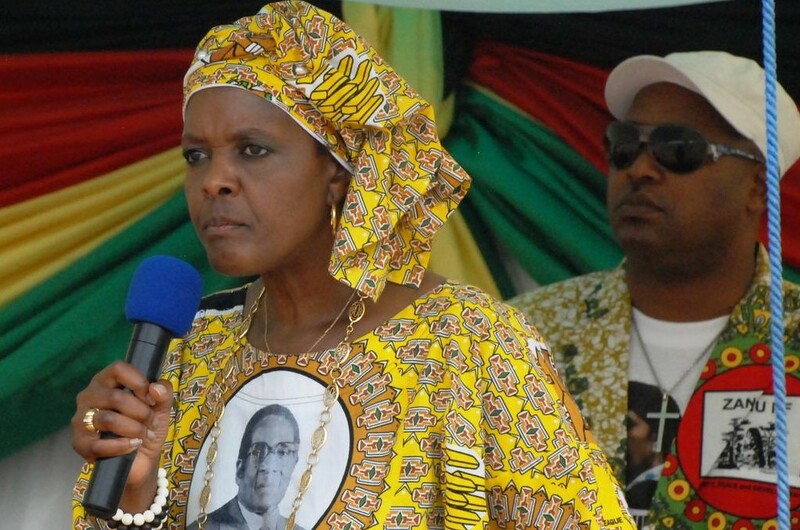 Grace led the assault on Mujuru and her allies late last year, in her divisive “Meet the People” rallies, making some shocking allegations about the former VP which many observers said were uncouth and most unfitting for a president’s wife. In the end, Mujuru — for long the leading candidate to succeed Mugabe — lost her VP posts both in Zanu PF and government, amid untested claims that she had plotted to oust and kill the frail nonagenarian. Describing her husband’s leadership as “miraculous and God-given”, the increasingly powerful Grace warned Mnangagwa and Mphoko not to get carried away by the trappings of power. “You should reflect on what happened to Mai Mujuru. She thought she had it, acting as president when the president was away. But God said no! You see, she didn’t get to rule. “She was misled even by traditional healers. They even had their side cabinet, but zvakaramba (it failed to materialise). She had gone mad because she wanted it so much. We wanted to forgive her, but she didn’t give us time to forgive her,” Grace said. In the rambling two-hour long speech, Grace also said, to the surprise of many, that Mujuru was not entitled to any government support because of the factionalism that she allegedly fuelled in Zanu PF. “You know you civil servants that if you get fired, you get nothing. You will have been fired, that’s it. It’s not similar to resigning. If you have been fired, you have been fired. You know what it means, you know the regulations. “She (Mujuru) was expelled. It had been seen that she had failed to do her job. Those who can’t do their jobs must be expelled. 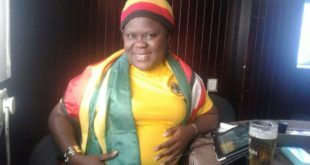 Those who want confusion in Zanu PF won’t be protected,” she said. 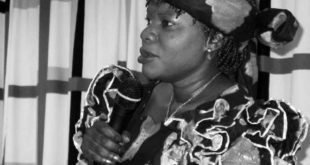 Ironically, Grace — who herself donated food parcels to poverty-stricken Binga villagers — said they should not accept aid from non-governmental organisations (NGOs). 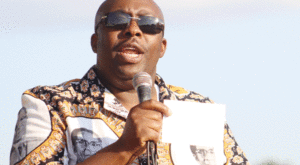 “I know NGOs have turned Binga into their playground. It should stop forthwith. There is nothing useful they have done for you. They only come during election time and give you food handouts. “Don’t be fooled by NGOs, they come from the whites. They want the people of Binga to remain living in poverty so that they bring hand-outs to you. If you see a person knocking on your door bringing food hand-outs, that person doesn’t love you. So sometimes because of hunger we say ‘yes lord’, we are being cheated,” Grace said.